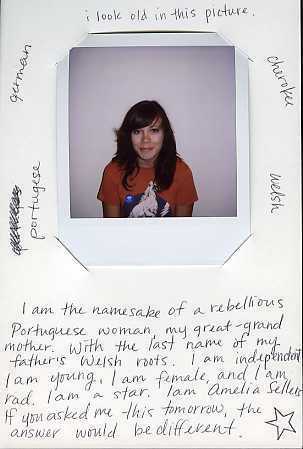 I am the namesake of a rebellious Portuguese woman, my great-grand mother. With the last name of my father's Welsh roots. I am independent, I am young, I am female, and I am rad. I am a star. I am Amelia. If you asked me this tomorrow, the answer be different.